This week at the Inkwell, we’re celebrating the release of Dina Sleiman’s newest novel, Dance from Deep Within. Today I’m so pleased to tell you how much this book touched my heart. Despite her conservative Muslim heritage, Layla Al-Rai longs for a chance to earn her degree in engineering and perhaps even...dare she dream...to choose her own husband. But young women from her background rarely enjoy such freedoms. When she finally talks her parents into letting her attend college, she is drawn to fellow twenty-something students, Allie and Rain, over a class project. Allie, the blonde ballerina, faces her own struggles as she deals with an ex-fiancé and a church she had hoped to leave behind. Rain, the bi-racial hippie chick, longs for something to believe in, but her questioning could cost her the love of her life. When Layla s childhood sweetheart reenters her world, it seems her dreams might become real. Until everything falls apart. When she meets truth face to face, will she find the courage to accept it even if it requires the ultimate sacrifice? Every young woman needs acceptance for who they are, what they believe, and where they’ve been. But the journey to acceptance usually isn’t easy. So what happens when three very different women, with different backgrounds and dreams, form the beginning buds of friendship? Characterization, balance, and timing are key to a novel with an ensemble cast. Dina Sleiman masters each with a skilful hand, developing a heart in her characters and dovetailing one individual storyline with the next. She delivers an extraordinary book that’s impossible not to love. This is, I believe, the perfect description for both the book and its author. Dina’s heart shines through the pages in a way that makes me smile. I simply adore this book, and I’m actually reading – and loving it – again. 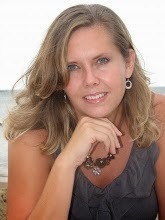 Dina Sleiman is the author of Dance From Deep Within, Love in Three-Quarter Time, and Dance of the Dandelion. I agree. Dina's two other books have shown her skill at writing, but this one shows her heart. I know God is going to bless her and others with this. We'll be hearing about it still in ten years' time. It means a lot to me to read that, Deb. It definitely is true that this is a book from my heart. It comes through, Dina. It really does. Suzie, thank you sooooo much for the lovely review!!!! Hey everybody, I just noticed a big sale on amazon for the print version. Down from $15 to $11!!! I'll make that adjustment on the post. What a lovely review, Suzie. I love what Deb said in the comments about this book not only revealing Dina's tremendous skill, but also her heart. What a gift. Well, what a great idea, Susie. LOL. I really like this review, Suzie. And I like that the book embodies Dina's outlook on life since she has such experience behind her. 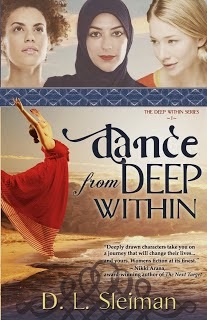 Dance from Deep Within is an excellent title for this book. Well done, Dina. Anita, I think that's part of why I love her writing. She has that eenigmatic "voice" thing down pat. I'll tell my daughter in Tanzania to get it on Kindle!!! Hi Cheryl! I'm sure your daughter will enjoy it! I think this book will really mean a lot to her. And u know, its easy to order kindle books as gifts too. I do that a lot. They have a good system.